Valued for manufacturing, supplying and exporting an extensive array of the finest quality Herbal & Ayurvedic Extracts, SAVA Healthcare Limited started its operation in the year 2009. Inclusive of Ayurvedic Extract, Medicinal Powder and Herbal Extract, we offer a wide range of herbal products. Offered by us at competitive pricing, the offered herbal & ayurvedic extracts are extremely cherished among our patrons for their rich attributes such as accurate composition, hygienically processing, purity, freshness, enhanced shelf life and high effectiveness. Due to our large production capacity and excellent storage facility, we have been able to deal with the bulk demands in the most efficient manner. By using advanced and cutting-edge processing machinery, our professionals process the offered herbal & ayurvedic extracts in agreement with the industry set norms and regulations. We have made strong association with some of the trusted vendors, who are known for their credibility and market reputation. With our large production/processing capacity, we have been able to manage bulk demands in the most efficient manner. Being a quality conscious company, we assure that the premium quality of the offered herbal & natural extracts is never compromised. We export our products to US, Europe and Taiwan. Under the management of director, Mr. Vishal Jadhav, we have been able to congregate the needs of our clientele. Supported by his experience and knowledge, we have been able to attain a remarkable position in this field and also in the heart of our patrons. We are positioned comfortably at the apex of success as we are strengthened by the experience and knowledgeable team of professional. Our experts are aware about the rules and regulation on quality prescribed by the industry and helps us in achieving the goals of perfection, quality and timeliness. Functioning with swift pace our team members succeed in delivering the ordered consignments with the promised frame of time. Their consistent effort and dedication towards work assist us to carve out remarkable position in the market. 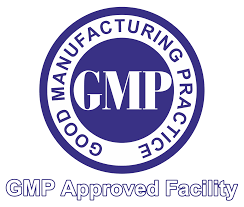 Savesta Herbals is certified GMP by NSF International, an independent organization which audits and certifies various organizations for Good Manufacturing Practices(GMP). Being a quality centric organization, we are engaged in providing qualitative products to our reputed customers in adherence with the global norms. The offered product range is processed by our skilled professionals using optimum quality natural ingredients and advanced technology. Additionally, we have established an in-house quality-testing unit that is controlled by our skilled and efficient team of professionals. Apart from this, the offered products are tested on well-defined quality parameters by our experienced quality controllers.